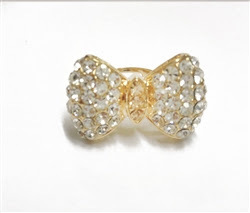 Kate Spade's pave all wrapped up bow ring retails for $58. ILY Couture has a similar, inspired by option which retails for $30. Click HERE if you're interested in purchasing.